In conversation with Mariama Kamara about Sierra Leone’s main challenges, the injustice she experienced as a black woman in business, Africa’s difficult access to finance, and how women are a very important part of the solution to bring clean energy to all. When I met with Mariama, I was instantly inspired by the energy she gives to her organisation and by the enthusiasm with which she was leading her projects. During our conversation, we talked about Sierra Leone’s main challenges, the injustice she experienced as a black woman in business, Africa’s difficult access to finance, and how women are a very important part of the solution to bring clean energy to all. Firstly before getting deep into the topic, can you tell us a little bit about your personal story and where you got the idea of Smiling Through Light? My background is in International Development and I have always been interested in development issues especially related to poverty, energy, education, sexual and reproductive health (SRH) and HIV issues. I have a MSc in Development Studies from Birkbeck College and BSc (Hons) in Psychology. I started thinking about Smiling Through Light after a trip to Sierra Leone in 2011, on a placement with Restless Development as a SRH Curriculum Development Technical Assistant. During the trip, I got an opportunity to travel to different areas of the country and everywhere I went, communities were either using kerosene or candles to light up their homes. I remember visiting a slum community in Freetown called Kroo Bay, where the majority of the community had no access to electricity and relied on dangerous solutions for lightning. I remember thinking: “This is wrong. We are living in the 21st century; there must be safer, cleaner and more reliable lightning options”. Personal experiences also underscore my understanding of the importance of energy. When I was a young girl growing up in Sierra Leone, I had no other choice but to study by a kerosene lamp at night. The effect this had has stayed with me throughout my life. That’s part of the reasons why I believe in the importance of sustainable energy and the need to work in collaboration with different organisations to ensure that individuals have the opportunity to access relevant energy sources, particularly solar. Energy doesn’t just provide light but income, prosperity and sustainability. Clean energy access can change lives. Some of the challenges relate to old networks, substandard materials used for electrical connections, old electrical equipments, high voltage rating and energy conservation habits not inculcated. There is significant potential for the use of renewable energy, particularly solar energy and hydroelectric power, but their development and use have been slow process to implement. When I started Smiling Through Light, the Sierra Leonean government was not talking about energy access and the use of solar products at all. It took time, a lot of lobbying, and joint efforts from different campaigning organisations such as Power for All, which works to advances renewable, decentralised electrification solutions as the fastest, most cost-effective and sustainable approach to universal energy access. In 2016, with support from the British Department for International Development (DFID), the government of Sierra Leone signed the first Energy Africa/DFID compact agreement. The Sierra Leone Energy Revolution is the start of a series of renewable energy initiatives to eradicate energy poverty in the country. Key commitments were made to supply basic power to all of Sierra Leone’s population within 9 years (by 2025), deliver ‘modern power’ to one million people by 2020, introduce household solar to all 149 chiefdoms in the country within the next 18 months and eliminate import duties and VAT on qualified, internationally certified solar products. Through all my different initiatives I found my own authentic and cultural voice. In July 2016, I set up Beam Talks; quarterly events which change the narratives about Sierra Leone. 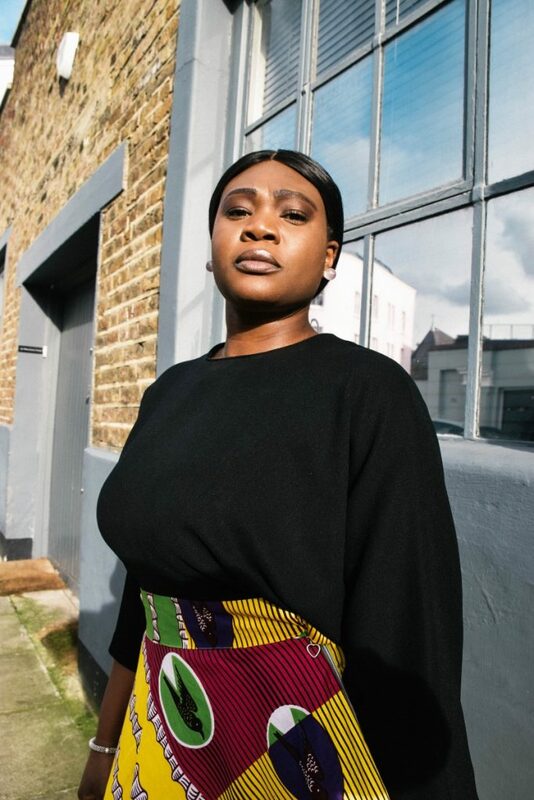 Beam Talks is Smiling Through Light’s UK initiative which aims to inspire young women by highlighting different job sectors amongst Sierra Leoneans in the UK. The event provides a space where role models can discuss their achievements, experiences and challenges with a new generation of change-makers. Yes, people talk about it all the time. This week there was a fire because someone knocked over a kerosene lamp. Community members always talk about inhaling the fumes and how toxic and dangerous it is. It affects their breathing, makes them dizzy, they suffer from headaches, vomiting and some blow out thick black mucus. We are all working towards SDG7 to ‘Ensure access to affordable, reliable, sustainable and modern energy for ALL’. For energy poverty to be eradicated we need to look at different funding pipelines and solutions to solve the problem. Financial inequality has no place in the globalised world that we all live in. What would you say have been your biggest achievement with Smiling Through Light ? What’s next for Smiling Through Light? I just received my first funding for a project entitled ‘Shining a Light on Kamakwie’. 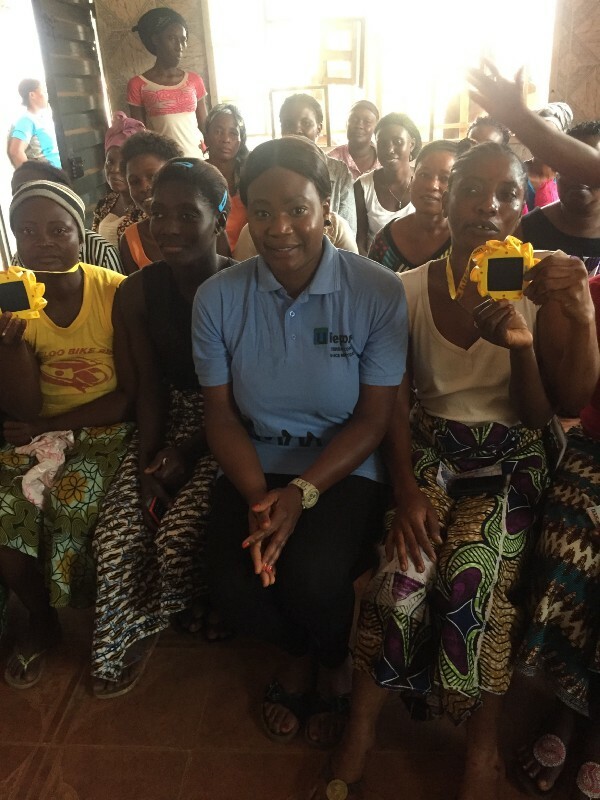 The project aims to distribute solar lamps to households in Kamakwie (in the Northern Province of Sierra Leone), to offer light for study, income generating activities, and reducing the use of hazardous fumes. It will also raise community awareness on the benefits of clean energy products through storytelling. As an inclusive eco-enterprise, this project not only aims to be financially sustainable, but equally strives to generate environmental, economic and social benefits for local communities.